Our primary section in the Library is complete! The final touch of new tables and chairs donated by the Ladies Guild. 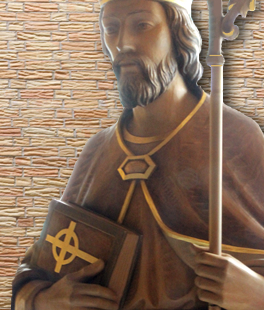 St. Linus Parish and how generous they always are to us! 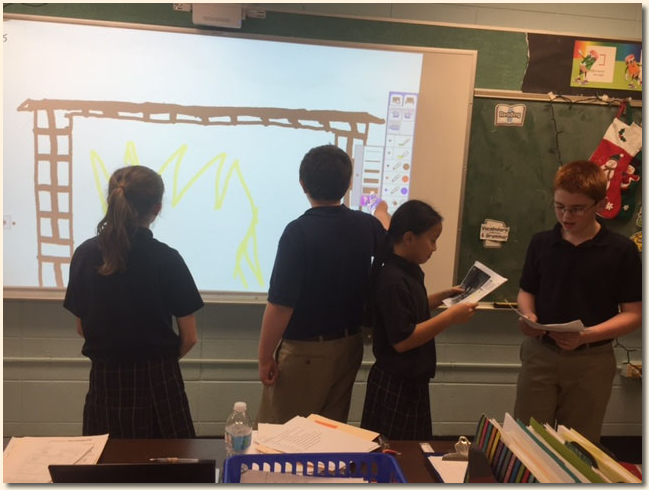 The students used their new Brightlink projector to create the scene of Mr. Scrooge’s drafty office! parents, grandparents and other family members. The highlight for the group was the traditional “Twelve Days of Christmas”! We certainly were in the Christmas Spirit! to work out a math problem in front of the class. 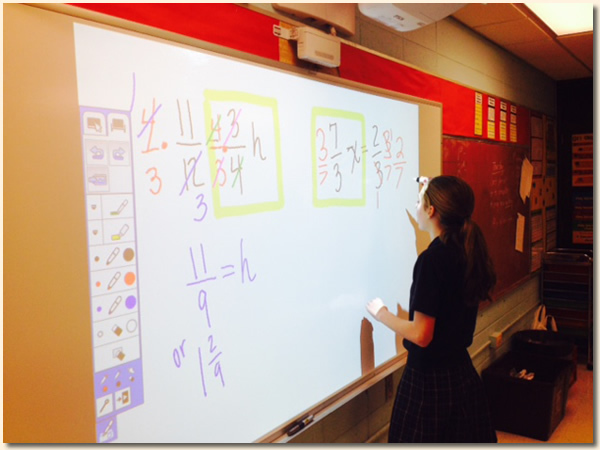 The BrightLink is an interactive projector that takes our lessons to a whole new 21st Century level. with more technology on the way. 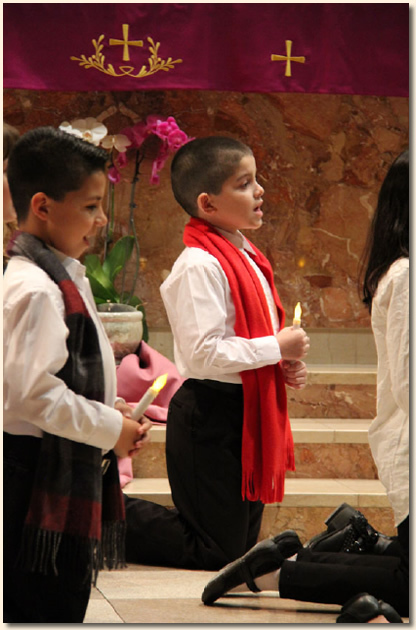 Alan Treto and Ronin Perez singing “What Child Is This” during the Christmas Pageant. and Angels all to retell this story in a prayerful manner. that depicted the Lord’s birth beautifully. This is a scene of the 3 Kings visiting Herod before they followed the star to find Jesus in the manger. 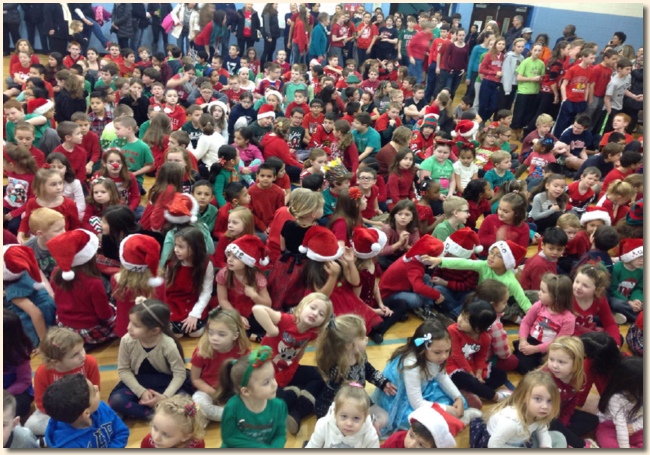 The students sang classics such as Silent Night and O Come All Ye Faithful. As well as a new classic, On This Holy Mountain, which we predict will be a new favorite. 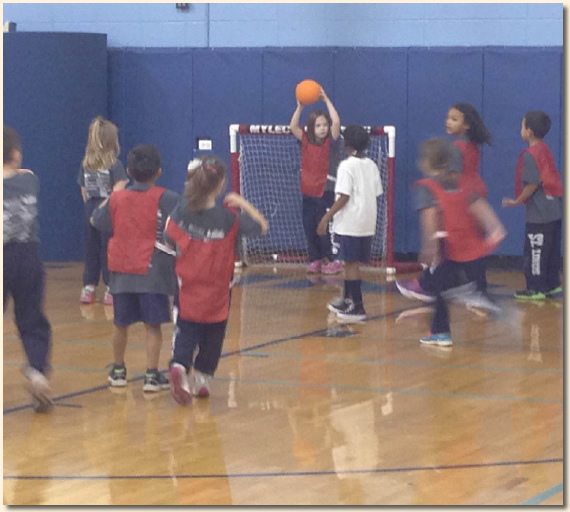 Our 1st graders in Mrs. Lehnerer’s room are very active during P.E. playing soccer. when they play organized sports during P.E. class. 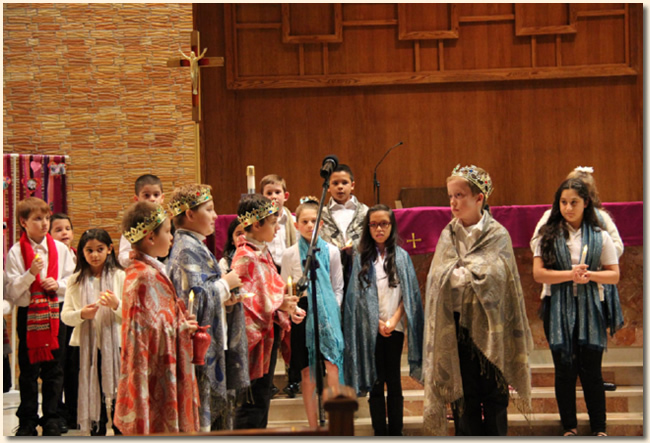 The Christmas Pageant was performed beautifully by 3rd and 4th grade! The students really enjoyed the opportunity to tell the story of the birth of our Lord! 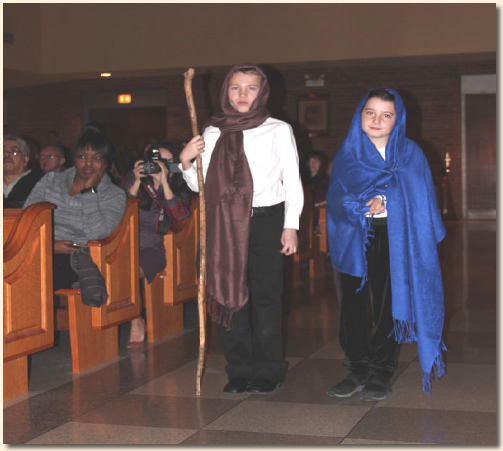 Here are Keira Moran and Jimmy Lyons as Mary and Joseph on the way to Bethlehem. Fifth grade project: Threatened and Endangered species of Illinois. 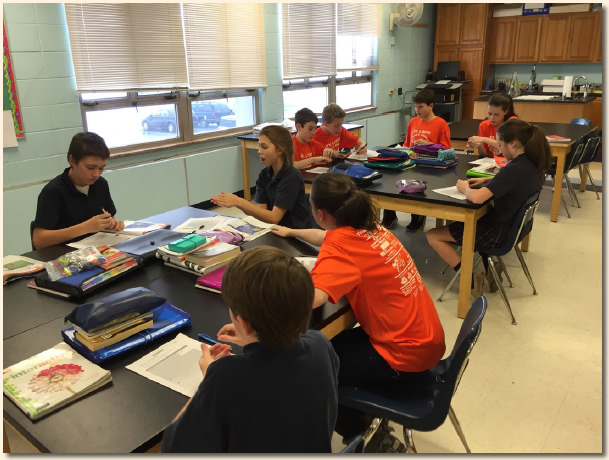 Students used the computer lab to research their species. In art they used the iPads to draw their species. sculpt with papier-mâché or clay, making a model of their species. All students worked on painting the habitat background. 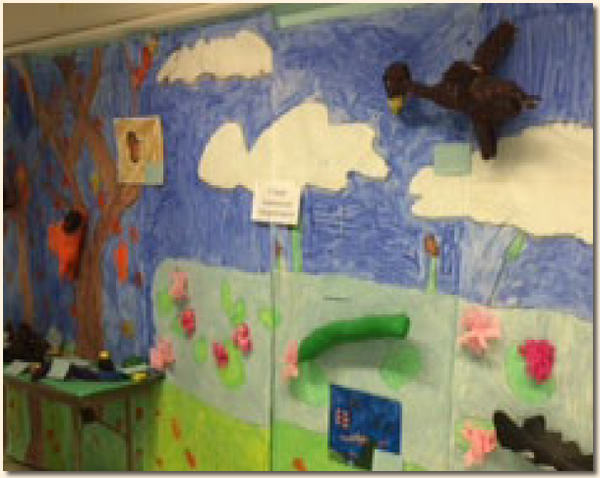 other grades were encouraged to view this display. at their first qualifying event at the Thornton Fractional South Qualifier. 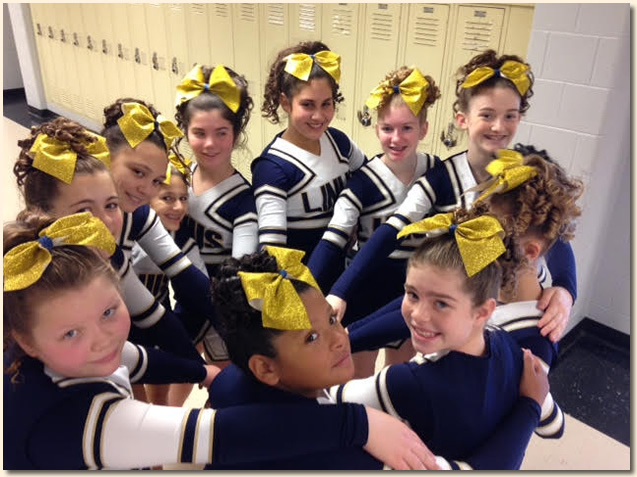 They will compete in Springfield in January so let’s wish them luck! Go Hawks! Mrs. Revis did Christmas Crafts with the students after school. 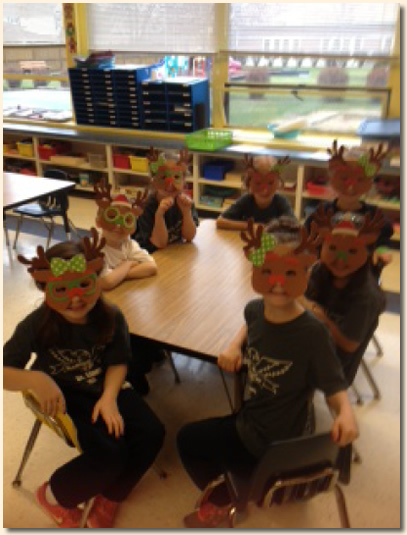 This group made reindeer masks and they put their own individual spin on them. 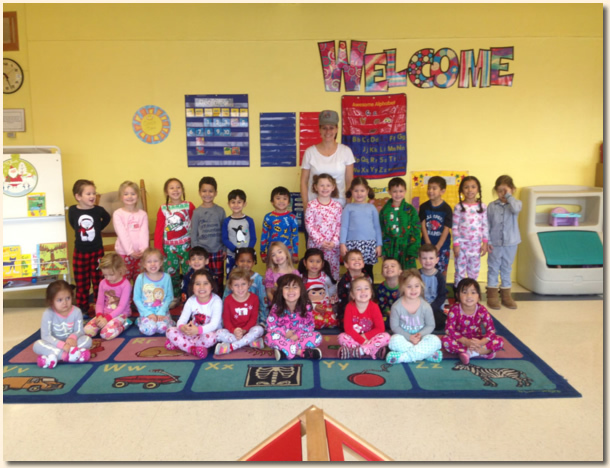 Both preschool classes celebrated Christmas with a Grinch Day and a Polar Express Day! drink hot chocolate and make crafts! These are highlights of the Early Childhood program. flipping coins to prepare for a unit about probability and Genetics! What are the chances you get blue eyes or red hair? Well, we will know soon enough! 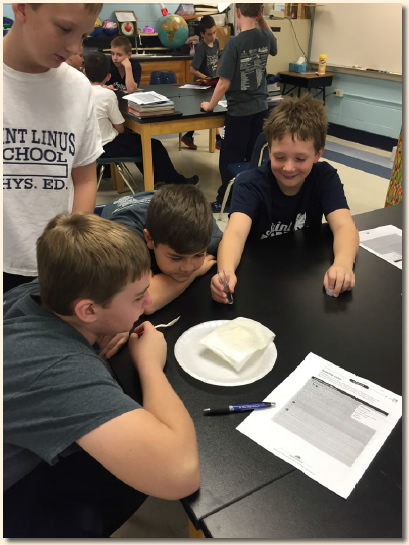 working on an experiment in the Science Lab about erosion and its effects on the Earth. 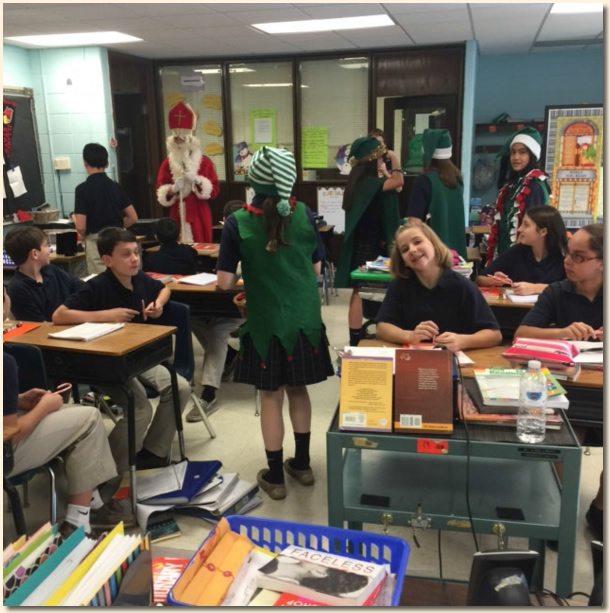 Our Student Council escorted a very special visitor around school on December 4. St. Nicholas came to see us in honor of his Feast Day. a Happy St. Nicholas Day and a very Merry Christmas!